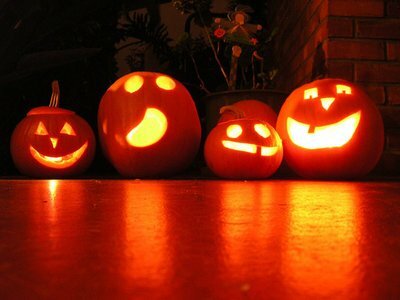 Safety Tips to Ensure a Hair-Raising and Happy Halloween Night! Get ready to prep your home, kids, and pets for a fun Halloween celebration. Many children count down the days until Halloween and can’t wait to dress up as their favorite character, but though the night is full of frights and fun, parents must teach their children to be cautious and make sure that they learn safe trick-or-treating habits. For young children, safe trick-or-treat events are a blast for Halloween night, but many other kids live for the thrill of ringing doorbells and shouting “Trick or Treat.” Though most people mean well on Halloween, it is always important to err on the side of caution. Whether they are five years old or 15 years old, get your children ready for Halloween this year by preparing them with these tips, as well as some reminders for yourself. Stick with the group: There is power in numbers, and it is always safer to stay with your friends or family than to go ahead on your own, especially when it is dark. Carry your cellphone: Many young people have cellphones now, and it is important to have yours with you in case something happens or you feel uncomfortable. Your parents (or the police) are just a phone call away. Go to a well-lit neighborhood: Stick to neighborhoods that you are familiar with and that have street lights. Only approach homes that have their lights on, and never go further than the front door to accept candy. Go with your gut: If someone does or says something that makes you uncomfortable, leave or call your parents. Be bright and reflective: Carry a flashlight, wear glow necklaces and bracelets, or wear something reflective on your costume or on your candy bag so that drivers can see you. Be safe with animals: Never approach an animal that you do not know, even if it is in a costume. Also, don’t cut through yards where you may unexpectedly run into someone’s pets. Know the rules of the road: Always be incredibly cautious when crossing the street, and when walking down the street, stay on the sidewalk or close to the curb. Make a plan: Use a map and establish with your child where they will be trick-or-treating so that you know approximately where they will be. You can also arrange a check-in time to call them (or for them to call you) to make sure everything is ok. If they are trick-or-treating with another child’s parents, be sure to contact them and find out where they will be going. Know what they are wearing: It’s important to be able to identify your child in costume, so make sure you know what they are wearing before they leave. Know their friends: Find out who your child will be trick-or-treating with and get their friends’ phone numbers so that in case you cannot reach your child, you can reach someone else in their group. Check the candy: See the following section for tips on checking your kids’ candy to make sure it is safe to consume. Stash the candy: Especially for young kids, the lure of having lots of candy in the house may be tempting. Spare them the bellyache by letting your kid choose a few pieces of candy, and then hide the rest and give it out slowly over the coming days. Though some candy mistakes can seem that the candy giver had good intentions, it is important to be careful. Here are some simple ways to sort through your child’s candy sack, and more tips can be found here. Though it may be fun to include pets in on the costumes and silliness of Halloween, be sure to keep in mind their safety and make smart decisions for the safety of the animal and those around the animal. Don’t dress up your pet unless they can handle being in the costume without becoming stressed. Make sure it does not restrict their movement, vision, or breathing. Don’t leave your pet in the yard on Halloween, especially if they are spooked easily by noise and trick-or-treaters running around. Pets can also be the targets of mean tricks, and are best kept safe inside your home. Safety Tips for St. Patrick's Day: Don't Drink & Drive - Celebrate and Stay Safe! The Best Weekend Fun, Turkey Day Tips, News & More in November 15th's Newsletter! Subject: LongIsland.com - Your Name sent you Article details of "Safety Tips to Ensure a Hair-Raising and Happy Halloween Night!"